Thank you for submitting your question about Five-point Hanging Lamp Gino copper E27 60W. Hanging lighting in chrome, which will work stylish in any interior design. 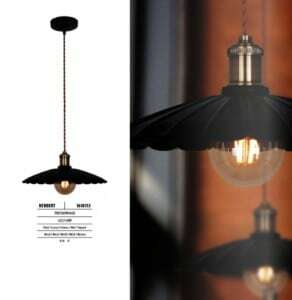 The described light fitting fits interiors designed eg in the Scandinavian style . 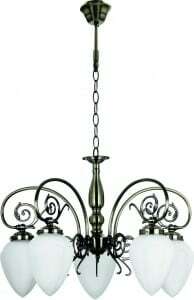 The presented lamp is best located in the living room, dining room, youth room or office. Binding height: 1300 mm. Metal and glass are the materials from which the presented frame was designed. The presented product is adapted to work with 5 bulbs with an E27 socket and a maximum power of 60 W, which allows for sufficient lighting of even larger rooms.